AUSTIN, Texas — Mirror mirror on the wall, who's the prettiest pig of all? 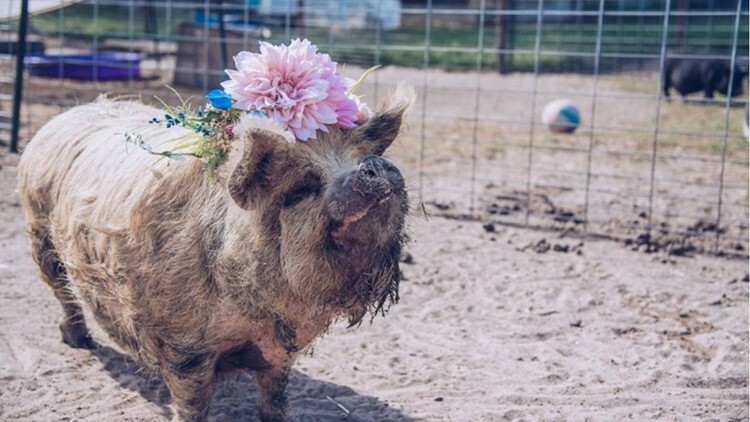 Central Texas Pig Rescue is hosting a pig pageant with the finest piggies in town Sunday. You may be wondering why this is even a thing. Well, this pageant is in support of Amplify Austin. The goal is to raise $20,000 to buy and build a medical trailer to help with their on-site medical care. You can still register your pig for the pageant by emailing info@centraltexaspigs.org with your pig's name, age, gender, weight, bio and photo. The pig pageant will be from 3 p.m. to 6 p.m. Sunday at the Buzz Mill located at 1505 Town Creek Dr. For more information about this event, click here.